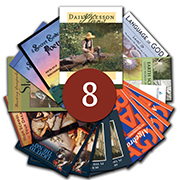 Click here to tour the core Eighth Grade materials and print sample pages! View all materials for Eighth Grade. Looking ahead to high school? Learn more about High School of Your Dreams!